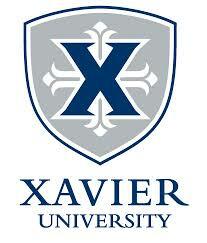 Founded in 1831, Xavier University is a Jesuit Catholic university in Cincinnati, Ohio. Its three colleges offer 87 undergraduate majors, 55 minors and 19 graduate programs to 6,945 total students, including 4,540 undergraduates. The University is the sixth-oldest Catholic university in the nation and one of 28 Jesuit colleges and universities nationwide.